Spring is just around the corner! Is your garden ready? Hope Dental Clinic is partnering with Gertens garden center this year to make sure our wonderful supporters have the Spring plants they need to make their gardens stand out (just in time for Mother’s Day!). 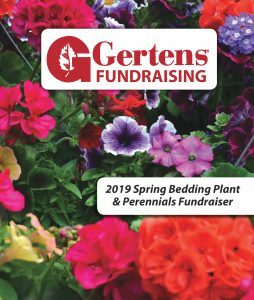 Purchasing flowers and plants through Hope Dental is a great way to get your hands on Gertens’ wide variety of Spring bedding plants and perennials and help ensure that the clinic continues to serve people who are struggling with unmet dental care needs. View a copy of the Gertens Spring Catalog with more information about their offerings. Please return forms no later than April 1, 2019! Sign up for home delivery on the order form or you may arrange for pickup at Gertens at no charge. Our home delivery date is Tuesday, May 7 from 8am to Noon. Forms can be emailed to Amanda Moody or mailed to Hope Dental Clinic, 800 Minnehaha Avenue East, Suite 465, St. Paul, MN 55106. Please include a check with your order form or make an online credit card payment. Contact Tim Mercure (ph: 651.789.7659) if you have any questions.